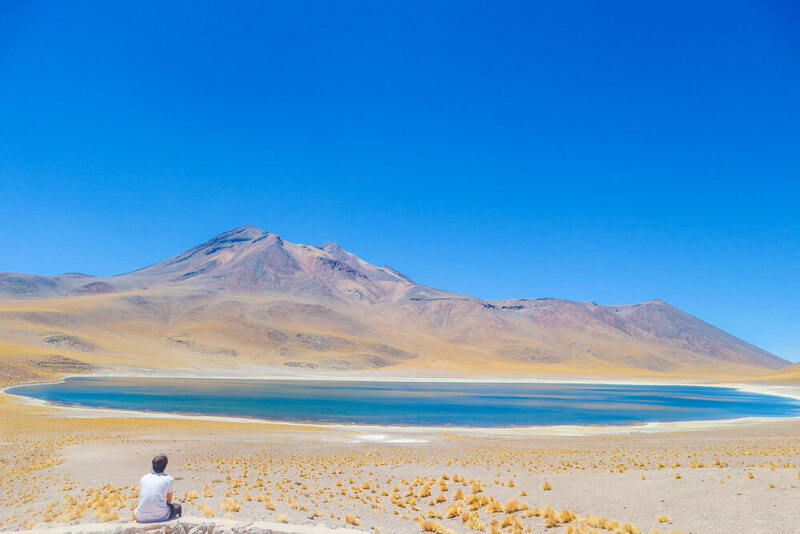 Stretching for over one thousand kilometres of Northern Chile, the Atacama Desert is one of the driest places on earth. 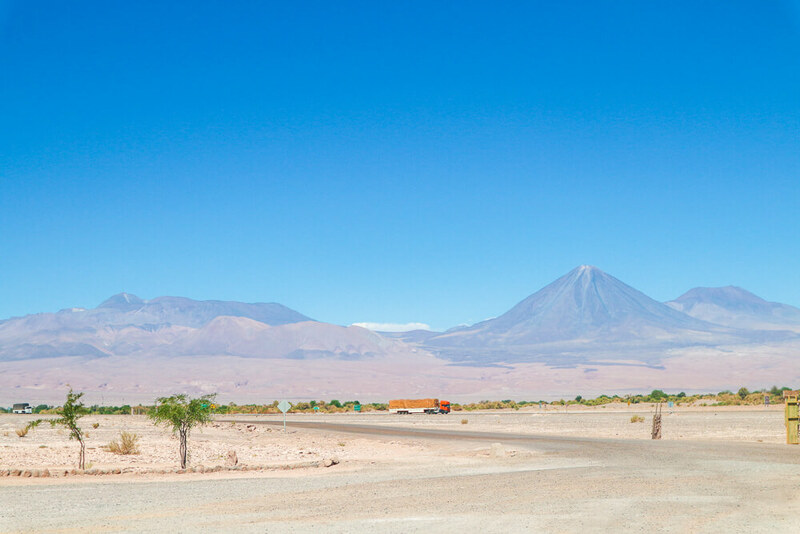 The town of San Pedro de Atacama is located in the heart of the desert at an altitude of 2,407 metres. With spectacular lagoons, incredible sand dunes and steaming geysers nearby, there are a number of unique and fascinating tours to take here. Despite only having 3 days here, we spent hours researching everything from accommodation to tours. This proved invaluable, as we were able to make the most of our time in San Pedro de Atacama with trips to Valle de la Luna, Geysers del Tatio and the Antiplanic Lagoons. Here’s a guide of everything you’ll need to know before visiting. Bus – Many bus operators offer services to San Pedro de Atacama, both from within and outside Chile. As such, the cost will vary greatly depending on your starting point. From Santiago it’s a 24-hour bus journey, costing around 23,000 CLP (Chilean Pesos) if booked in advance. This fare is for a standard reclining seat with Turbus (https://www.turbus.cl/), but other comfier options are available at a higher cost. When we visited, we had just arrived in Arica, Chile from Peru, and so caught a bus from there. For the 11-hour journey, we paid 9,600 CLP. If you are heading there by bus, check out these tips for surviving the journey! Flight – If you prefer to save time on travel, you can fly to Calama airport from Santiago for around 35,000 CLP if booked in advance. From here it is a 90-minute bus ride to San Pedro de Atacama, which costs between 3,000 and 5,000 CLP. 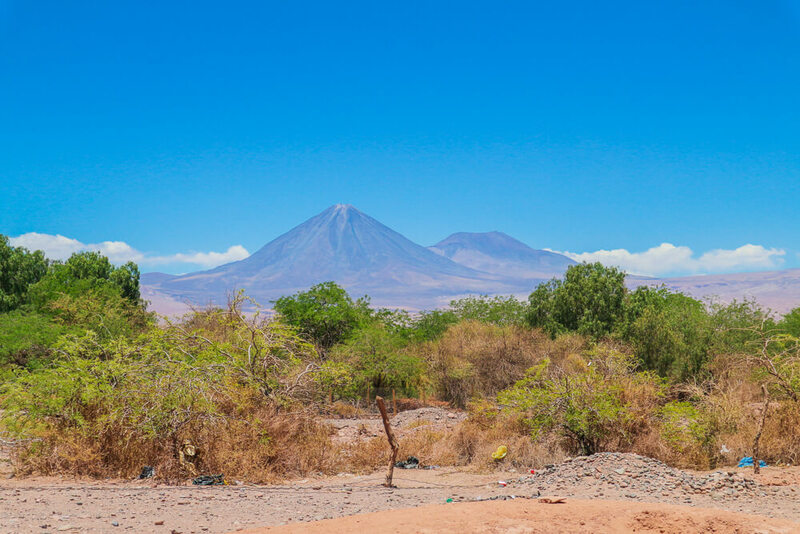 San Pedro de Atacama has accommodation for every budget. Unfortunately, due to the remote location and Chile being a relatively expensive country – decent accommodation here does cost. You’re likely to get what you pay for. If you’re happy to stay in a dorm, prices start at around 8,000 CLP per night, but may reach 20,000 CLP. Private rooms at hostels are available for as little as 24,000 CLP, but generally cost in excess of 30,000 CLP. If you aren’t looking to stay in a hostel, you can opt for anything from guesthouses to high-end, luxury hotels. Depending on your preference, the price will vary greatly. To get the best deal you’ll need to book in advance. Be sure to check Airbnb before booking too, as it may provide better value than standard hostels and hotels. 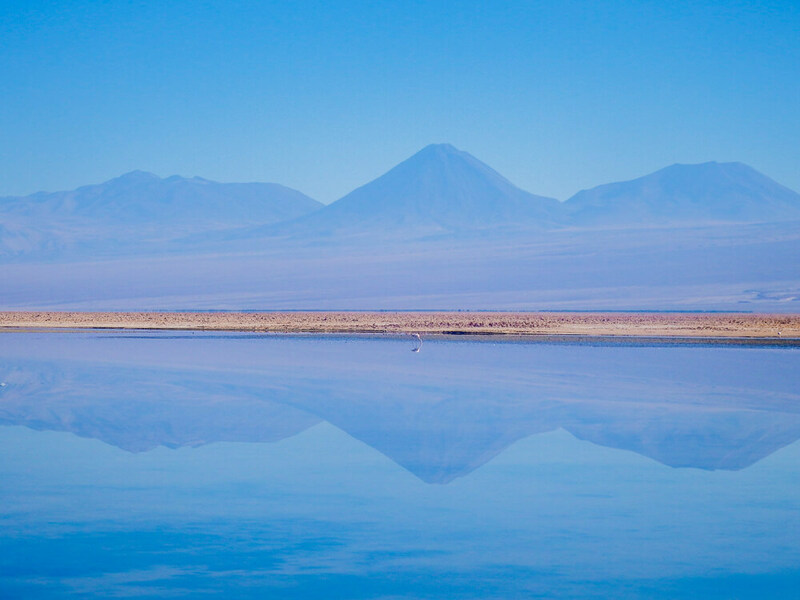 There’s so much to do around San Pedro de Atacama. You could easily spend a week here enjoying something different every day. With a number of different tours to choose from, it’s hard to narrow down how best to spend your time. Then you have the issue of there being A LOT of tour companies. We did some in depth research to try and find a company that offered good value but high quality tours. This led us to Whipala Expedition. They have knowledgeable guides on all tours, fluent in both English and Spanish. While prices fluctuate between operators, we found Whipala to have extremely competitive pricing while still providing a high quality service. With demand being so high for tours here, we highly recommend you book in advance with your chosen operator. Don’t run the risk of going all that way to find out the tours you want to do are booked up. Most operators are very responsive via email and so you will be able to arrange an itinerary perfect for your stay in advance. Without a doubt, some of the most incredible landscape you will find anywhere in the world. 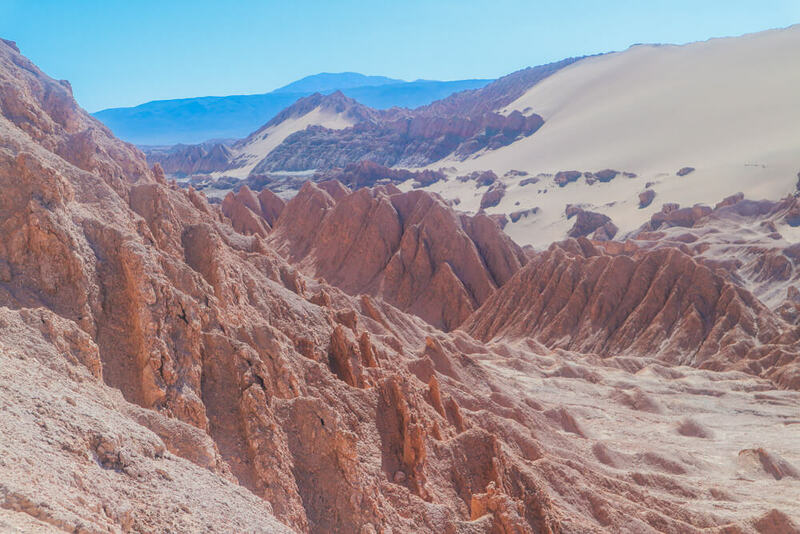 Valle de la Luna is home to rugged rock formations and spectacular sand dunes. Tours here leave from town in the afternoon, allowing you to witness sunset from the valley itself. With the right conditions, you’ll be treated to an unforgettable and magnificent display of colours as the sun disappears from sight. There’s a reason it’s known as moon valley – it really is out of this world! High in the Andes mountain range, at an altitude of 4,320 metres, lies the third largest geyser field in the world. With over 80 active geysers, the highest recorded eruption here is 6 metres. This tour leaves early to arrive for sunrise, meaning extremely low temperatures outside. Make sure to bring gloves, a warm hat and plenty of layers! Ensure you’ve adjusted to the altitude before visiting, or you run the risk of altitude sickness ruining your day. 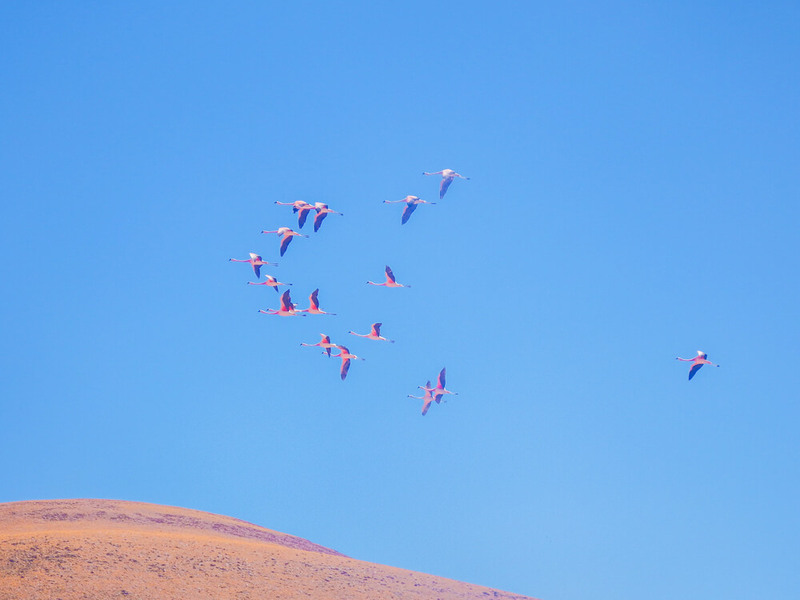 As part of the tour you’ll also visit the small village of Machuca and get the chance to see some flamingos. 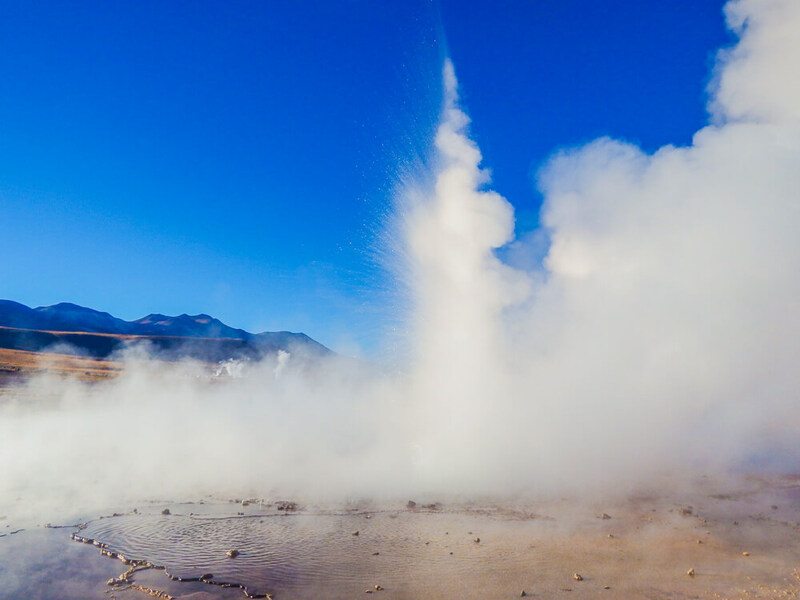 While these are an added bonus, the geysers will be the highlight of your day. Having the chance to see such fascinating geothermal activity first hand is special! Spend your day enjoying some of the wonders of the Los Flamencos National Reserve. Gaze in awe as majestic flamingos feed in the perfectly still reflective waters of Laguna Chaxa, mirroring the volcanoes on the horizon. Here, you will also find the 3rd largest salt flats in the world – although they’re noticeably different and less picturesque in comparison to Bolivia’s famous Salar de Uyuni. The climax of this tour is visiting the beautiful Lagunas Miscanti and Miñiques. These lagoons offer stunning blue waters whilst towering volcanoes dominate the background. Hidden over 4,000 metres high in the Andes mountain range, you will again need to be wary of the altitude by ensuring you have acclimatised. Here, you’ll find yourself questioning how such naturally magnificent places can exist yet be unknown to the majority of people. Hike to the crater of one of Chile’s most active volcanoes – reaching altitudes of over 5,500 metres. Wonderful landscape and beautiful red volcanic rock formations surrounded by saltwater lagoons. 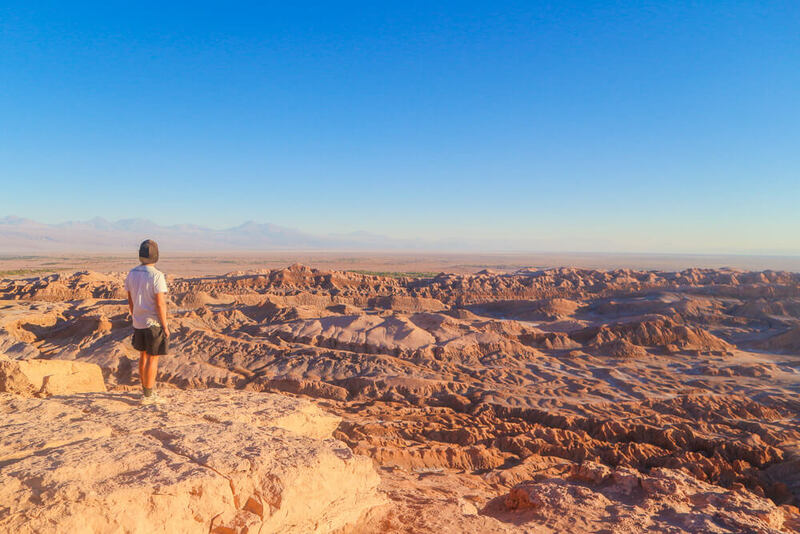 You don’t necessarily need a tour to take advantage of this, as San Pedro de Atacama has one of the clearest skies in the world. The sky was littered with stars during our nights there, but with the opportunity of using powerful telescopes for a closer look it would be an amazing sight. An incredible place where the rocks and hills are so colourful that locals refer to it as rainbow valley. A tour to visit multiple picturesque lagoons, one of which you can float in effortlessly due to the high salt content of the water!